I have decided to home educate my son. He should have been going to school this September but for the foreseeable future due to being unable to find the right school to meet his needs, he will be educated by me and we will see how it goes. This of course means that I need resources to help me with our daily learning and I have been investigating online methods to work with as part of our home curriculum. One such website is EdPlace and we were given the opportunity to review the service to see if it would be something we would consider using. We had OH's children, who go to school, over for the weekend too so they had a look to see what they thought. It is a well laid out site and very easy to navigate. It concentrates on Maths, English and Science and has work sheets for stages 1-4 of the National Curriculum. Although when you home educate you do not need to follow the National Curriculm, I will still be using it as a guideline to see what level is associated with the right age group and the topics we would have been covering in school. We will probably be working at less than Level 1 - where EdPlace starts from, for a while as Little Bird has autism and this affects his learning. However, it would be a site we would revisit as we progress. The website acts as an alternative to a tutor and provides extra practice for your child in the core National Curriculum subjects. It has been put together by qualified teachers so I felt confident with its content. Liam, 10 and Thomas, 13 enjoyed working through sheets that I assigned to them. 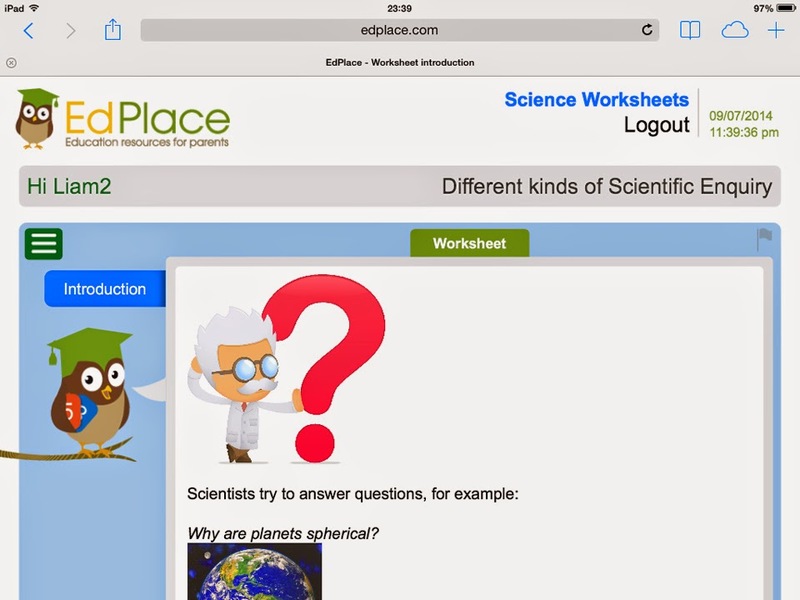 Initially you create each child their own login and then when they access the system they can see the worksheets that you have given them to do. 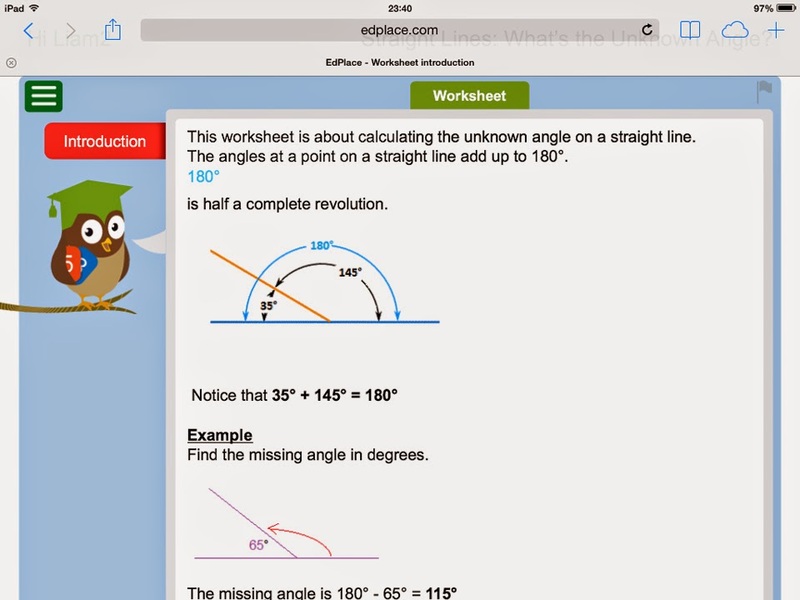 You can then see which worksheets your child has completed and assign further ones. The site also has an option to make suggestions as to the sheets they might wish to do next. You can set rewards for sheets completed, anything you want that works for you as a family. The boys were completing these on a Saturday night of their own accord and were enjoying testing their knowledge. I set rewards as a day out and ice cream the next day. 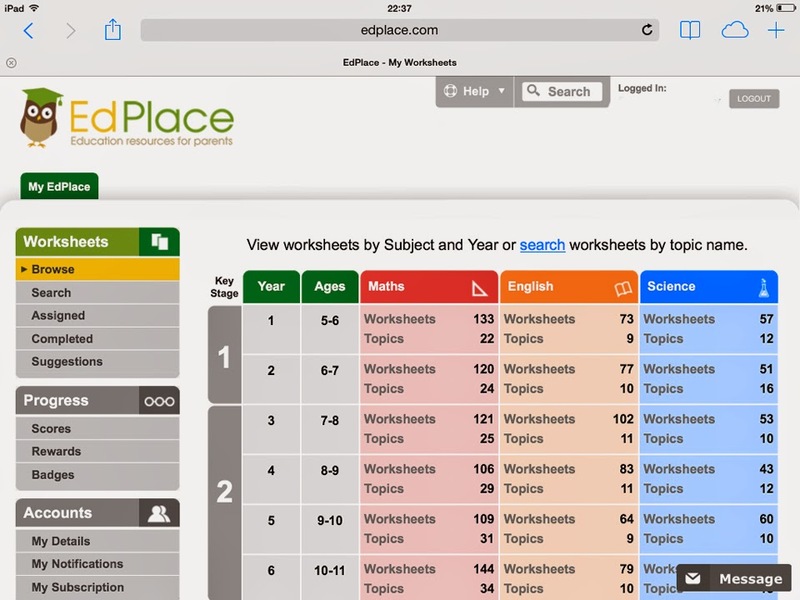 Each subject is broken down into topics and there is a search box if there is an area that your child needs particular help with so you can quickly find a relevant worksheet. When each sheet is completed, any wrong answers are given an explanation and the correct answer provided and a score is logged. You can see the child's performance across the subjects as a percentage and on the child's summary page it shows their 'Best performing topics' and 'Worst performing topics' - I have to admit I didn't like the latter phrase. It seems a bit negative and I wouldn't want a child to feel disheartened by that. The information is useful but perhaps could be better phrased. The worksheets themselves are fun and easy to read. Myself and the boys thought they were interesting to work through. Colourful and well spaced out with plenty of diagrams to help understand and answer the questions. 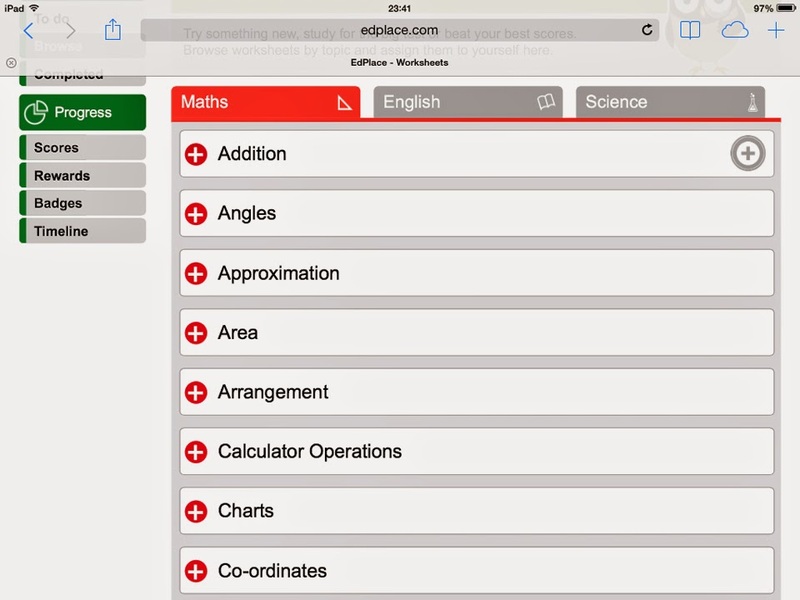 The price for using EdPlace is £12 per month for each child or £96 annually for all the subjects. Compared with the cost of a tutor (average is about £20 per hour) this is much cheaper for anyone wanting extra help with their child's learning. You can subscribe per subject for £8 per month also, if there was just one particular area of study required. Potentially at some point in the future as a guidance to where we should be level wise in the National Curriculum we might used EdPlace. However, it is a very mainstream service so with SEN it might not work for us. Certainly the older boys were off and away with these worksheets so the format of them was obviously something they are used to and they were keen to continue to work on them. A positive outcome. 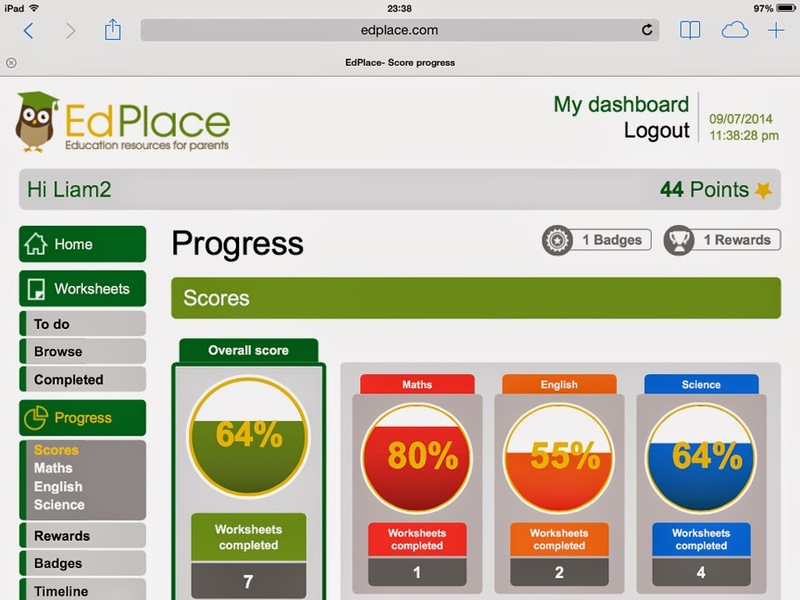 Disclosure: We were given a 3 month trial of the EdPlace for the purposes of the review. Opinions are my own honest appraisal.